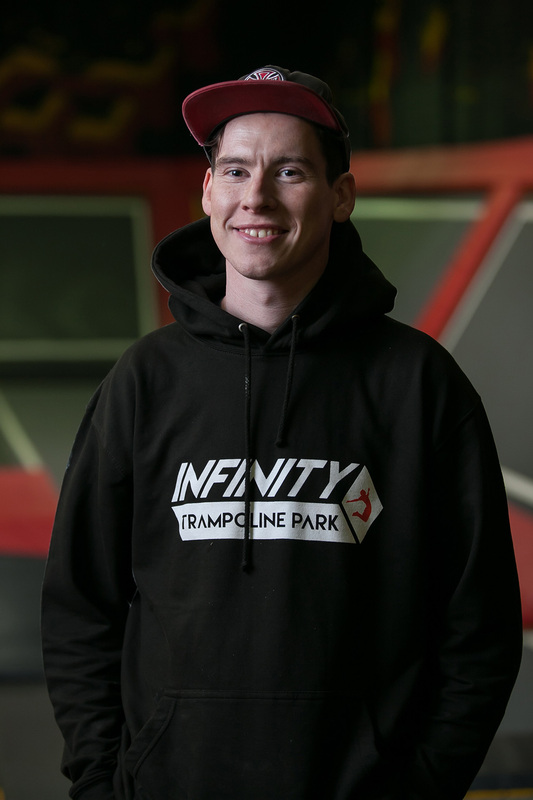 In January 2014, I (David) received a call from Taran (a stranger at the time) informing me that my idea to open up Edinburgh’s first trampoline park was shared. The following week we met up and found that we not only had we both equally strong passion for creating the business, but also had very similar ideas of the type of business we wished to build. We decided to move forward with the business together and Infinity was born. In the two years following we faced many hurdles on our journey to opening. 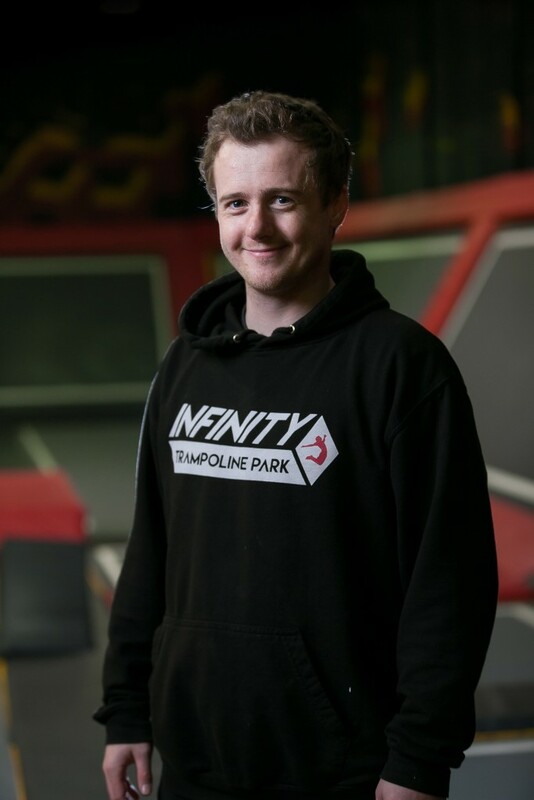 We had the challenge of securing funding, finding a property, as well as learning all the aspects of running a trampoline park. We struggled for months to find a suitable property along with a landlord that would consider renting to tenants with an unproven start up company. Of course, the fact that we’re both in our twenties was often seen as a gamble in the eyes of any potential landlord and we faced regular rejection. Over the course of two years, we visited over 50 buildings in several cities. Through much perseverance we overcame all the above challenges whilst both Taran and myself held down full time jobs. Although it’s only been a year since the days of TGI Friday’s and a phone shop, it feels like a lifetime ago! I’m glad to say we finally opened our doors for the first time on August 1st in St. Catherine’s Trade Park, Cardiff. Since our opening day, Infinity has far surpassed our expectations and become as popular as we had dreamed it would be. Fortunately for us, the word of Infinity seemed to be spreading like wildfire and we were sold out from day one! Since the very beginning we’ve been turning away as many customers as we were taking in, and although we are overjoyed with the custom, it was immediately apparent how much some extra space for facilities would be appreciated by our customers. In the months following, we worked relentlessly toward opening the park that we dreamed of; one that would provide the best experience we possibly could to our customers. We designed a brand new cafe, two party rooms and a huge new park with lots of exciting features… as well as almost double the trampoline space compared to our previous park! We love being able to work at Infinity every day. 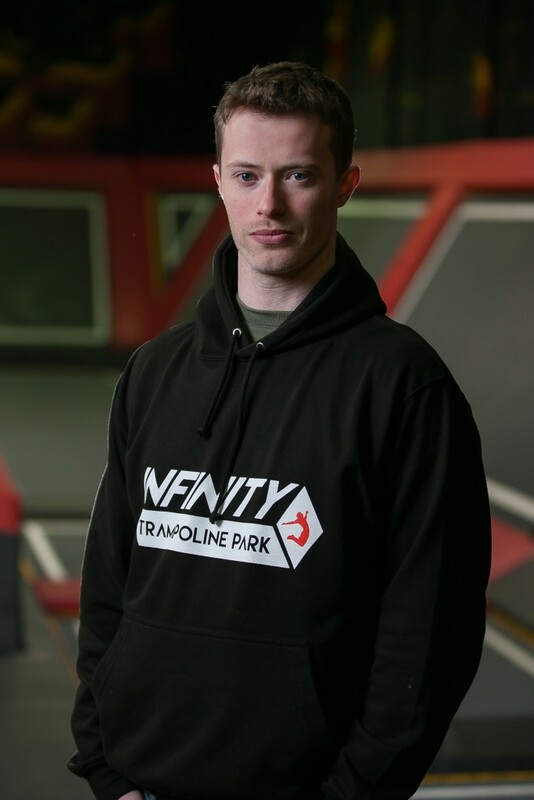 Interacting with our jumpers and watching them have the time of their lives on our trampolines is nothing short of incredible, and as of the 19th March ’16, Taran and I are able to look at Infinity and our new park as something we’re truly proud of.